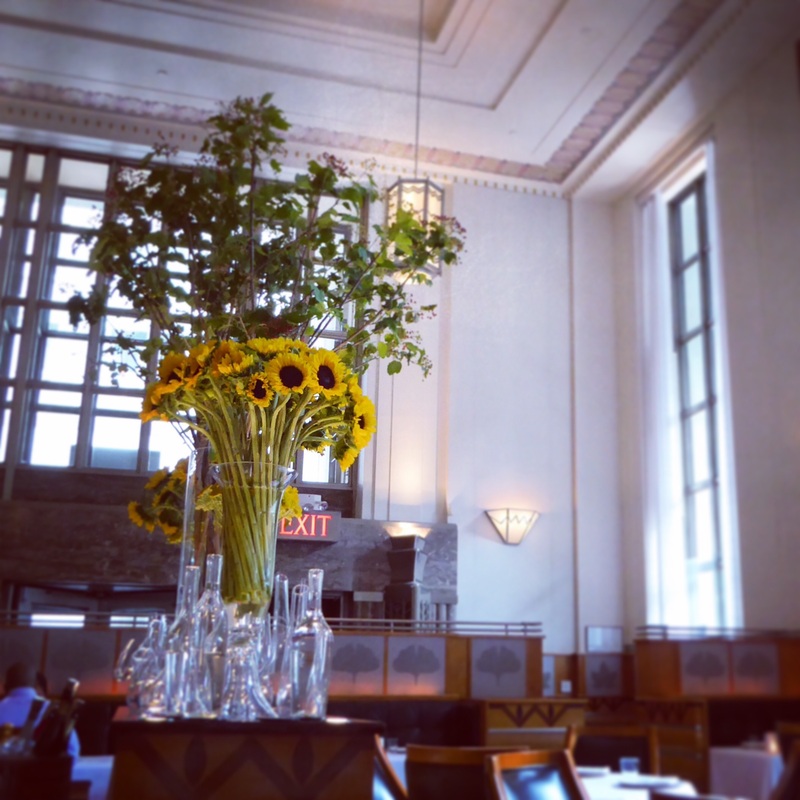 Home » ★★★★★ » Eleven Madison Park. Fine dining, alive and well. 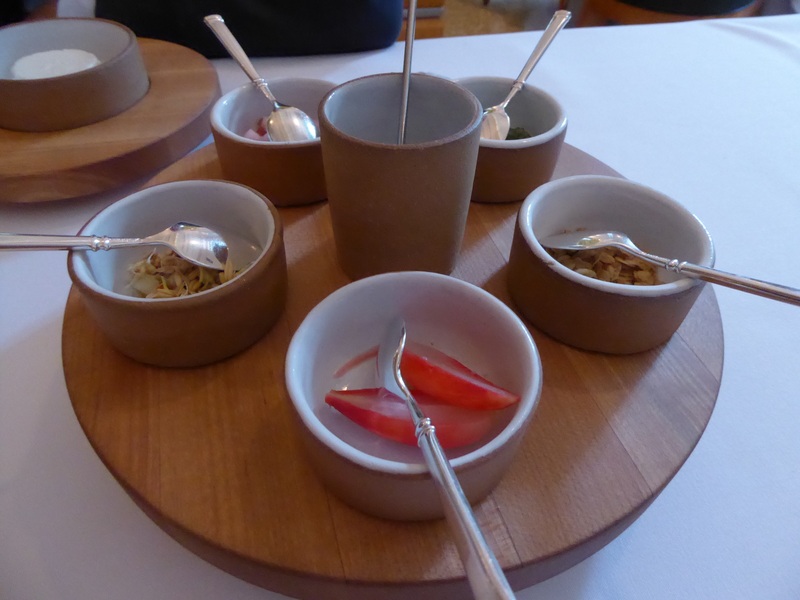 Eleven Madison Park. Fine dining, alive and well. Have I eaten in a morgue? 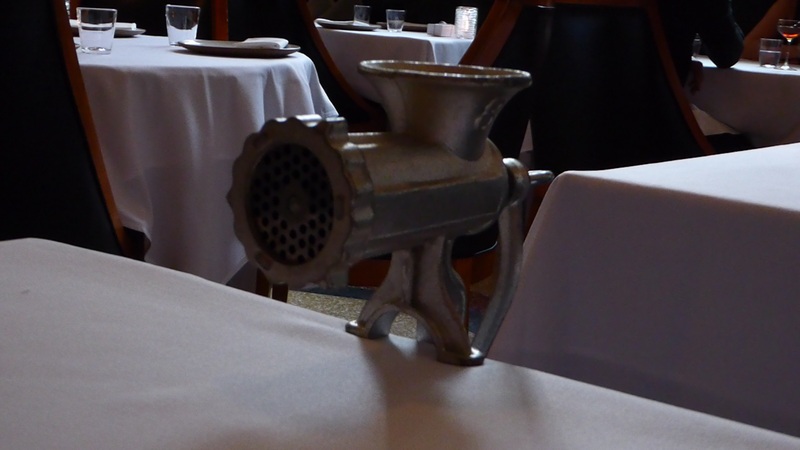 Google the death of fine dining and you’ll see a plethora of articles telling us it’s all over. The most recent funeral oration is that given by Jay Rayner, in the Guardian, where he refers to a survey which states that 70% of diners have turned against fine dining, linking to a headline in The Times, which declares that “Fussy French dining loses out to relaxed rioja and tapas”. Drilling down, the Times article quotes an outfit called Wine Intelligence who say that of a thousand diners asked, almost a quarter had ordered a bottle of Rioja in the last six months. I’m not sure that this proves the death of fine dining or the end of the hegemony of French wine. I’d be more interested to know if that was the first time those asked had ever ordered Rioja, or how many more bottles of Rioja were sold in the UK market, compared to the previous year. And in a different survey, also quoted in The Times, this one carried out by Wines of Rioja, almost 70% of those surveyed say that they now prefer more relaxed “Spanish-style” meals. Funny that. And how many were surveyed? And who were they, people in a tapas restaurant? 25 year olds? Again, meaningless without further explanation. There’s no doubt that fine dining has taken a bit of a beating in the press recently and not entirely without cause; few of us enjoy the starchy, starched, up-their-own-backside dining rooms that still exist, often in hotels and often outside London. 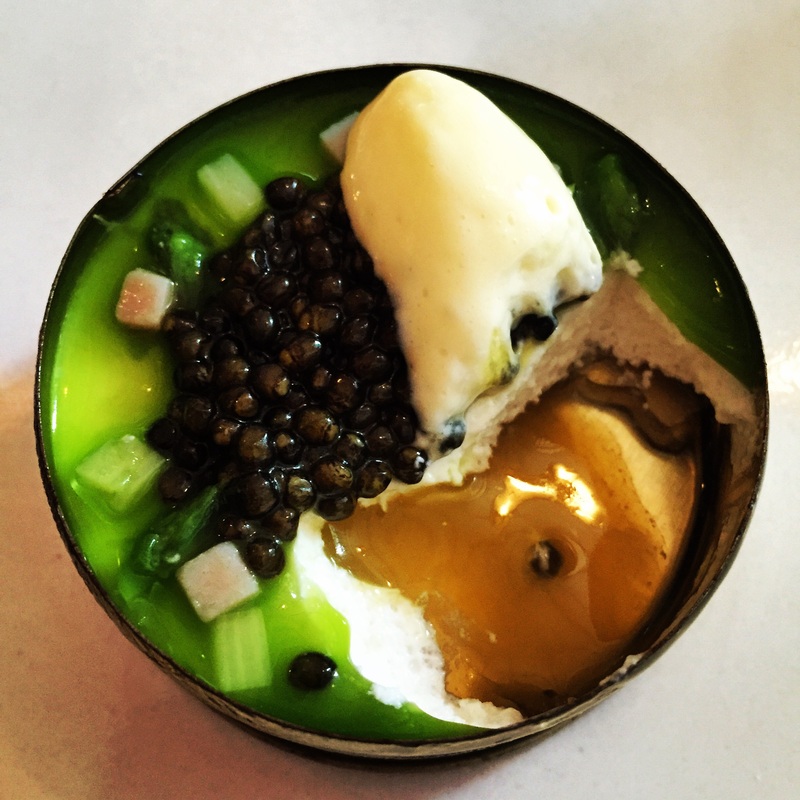 I certainly don’t enjoy dropping extra dosh just to be fussed and fawned over by flunkeys and yet I do sometimes find myself attracted to what would be termed fine dining every now and again and my meal at Eleven Madison Park reminds me why. 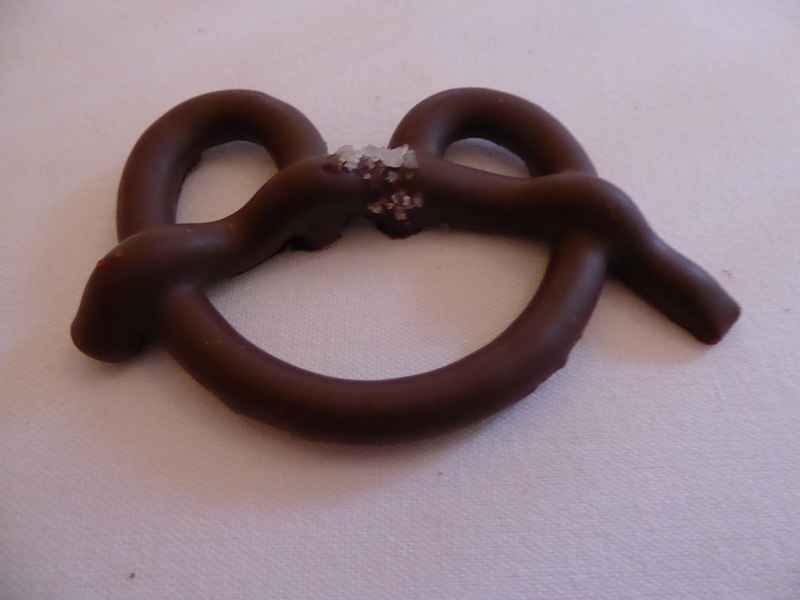 Not all fine dining is the same and done properly, it can be a joy. But I don’t go for the posh nosh without a fight. Highly suggestible as I am, picking up on the current zeitgeist, I had been bemoaning the fact that C had booked Eleven Madison Park. 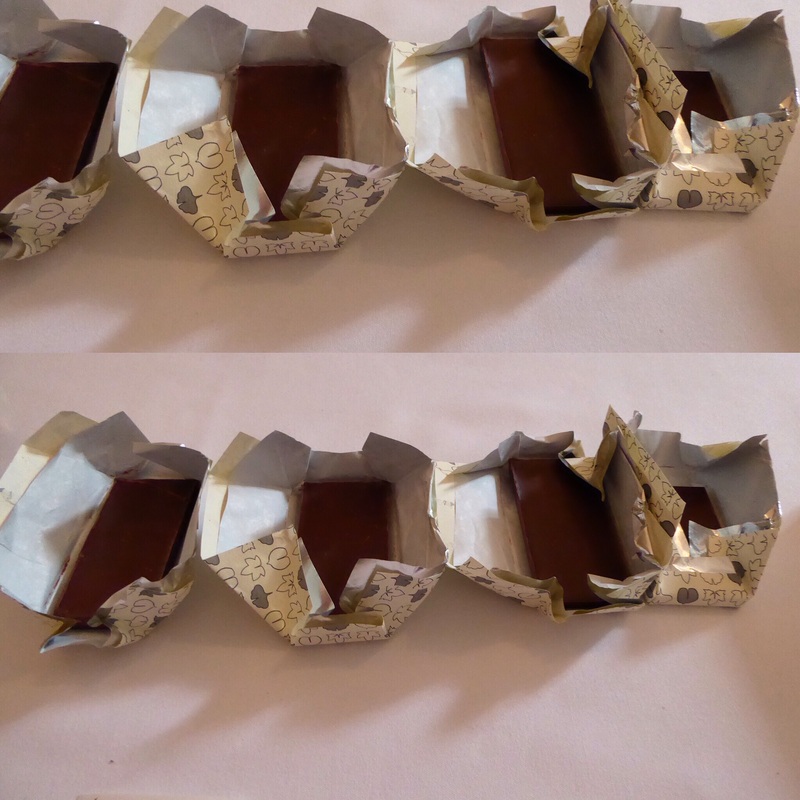 I am sufficiently self-aware to realise that this is truly the pinnacle of #firstworldproblems. In my version of a mid-life crisis I want to go to funky, interesting places that push the boundaries a bit, hence my love for Lyle’s, Kitchen Table and Barrafina. I’m always on the lookout for something new or a reinvention of something I’d written off, like tapas. 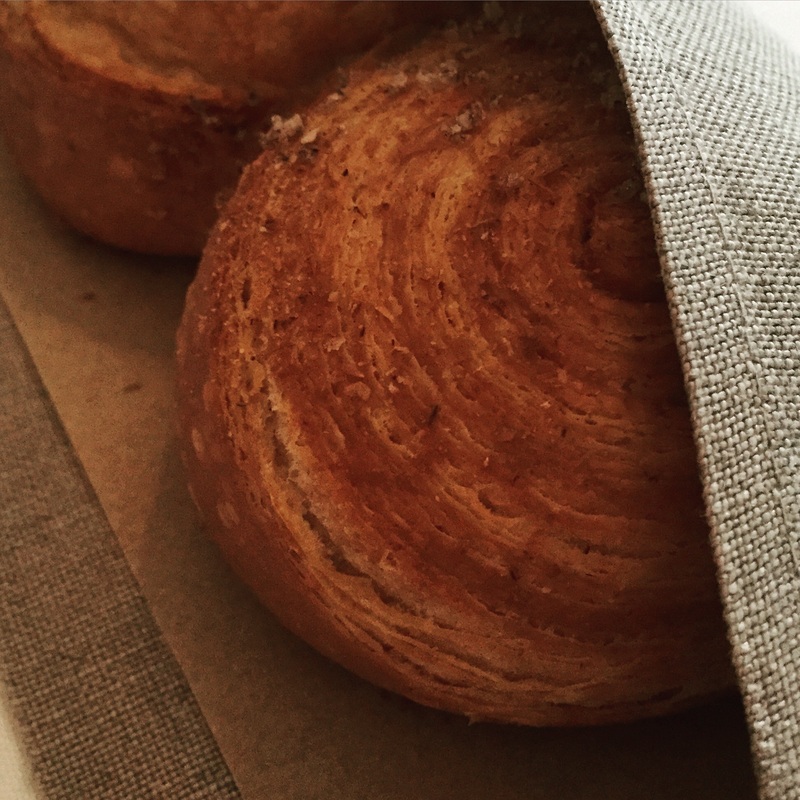 There’s a style of restaurant that I’m very comfortable to visit and it is one which is relaxed, ingredient-focused and unfussy; St John, 10 Greek St and Honey & Co are all go-to places for me. 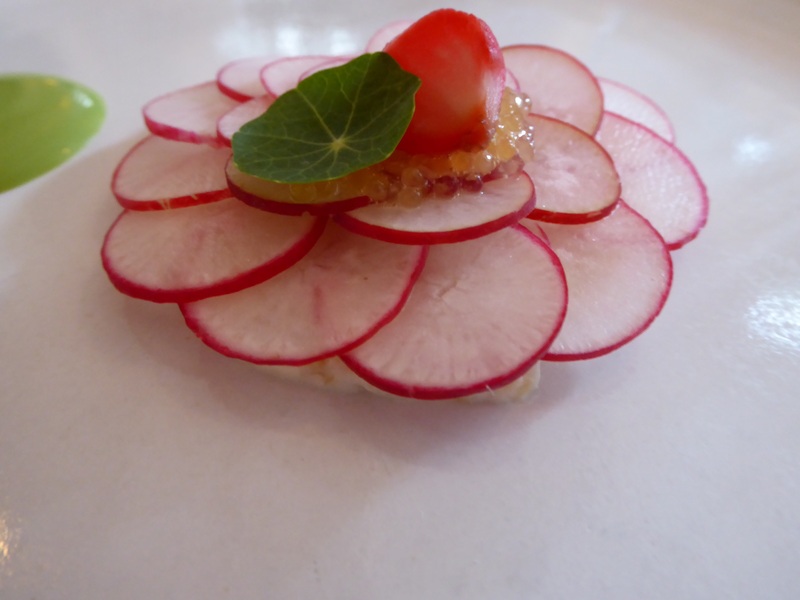 In New York, I’d wanted to do a bit of the same and Momofuku Ssam Bar and Sushi Nakazawe were on my wish-list. Having seen the film “Jiro Dreams of Sushi,” you’d want to go to Nakazawe too. But C is considerably older, as I have been known to point out and does not want to pretend that he is twenty-five or wait in line or be unable to hear me over the loud music. Ok, maybe not the last one. So we agree that we will do one fine dining destination whilst we are in NY. As we enter the hallowed space, I’m not sure about the room. It’s very New York banking hall, all grand lighting and austere, with fairly restrained deco décor. I feel that it’s going to be very formal and my heart sinks a little. We are booked at the silly-even-for-me 5:30pm slot, which messes up my day but this is all that is available even though we book well in advance. My sense is that the good tables are on the raised section. Needless to say we are not seated there. I have done no proper research as I like the element of surprise. I am therefore surprised that there is no menu and that there are 17 courses. We are asked about allergies and dislikes and thus the show gets on the road. 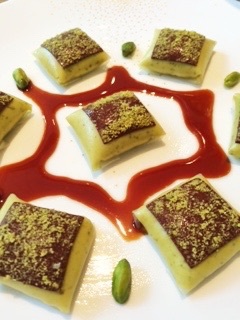 For it is a show, make no mistake and this is what separates fine dining from the very good food you can get elsewhere. Yes, of course you can get really interesting and vibrant food at lots of cheaper restaurants and I wholeheartedly support the democratisation of good taste but there is something about a meal that has been put together by a highly trained and obsessive chef which can elevate the experience and make it particularly memorable. It’s not just about the taste, or the use of expensive ingredients; it’s the inventiveness and the precision and the following of a tradition, whilst subverting it and reinterpreting it for a modern audience that makes for the best fine dining experience and one that can be remarkable. 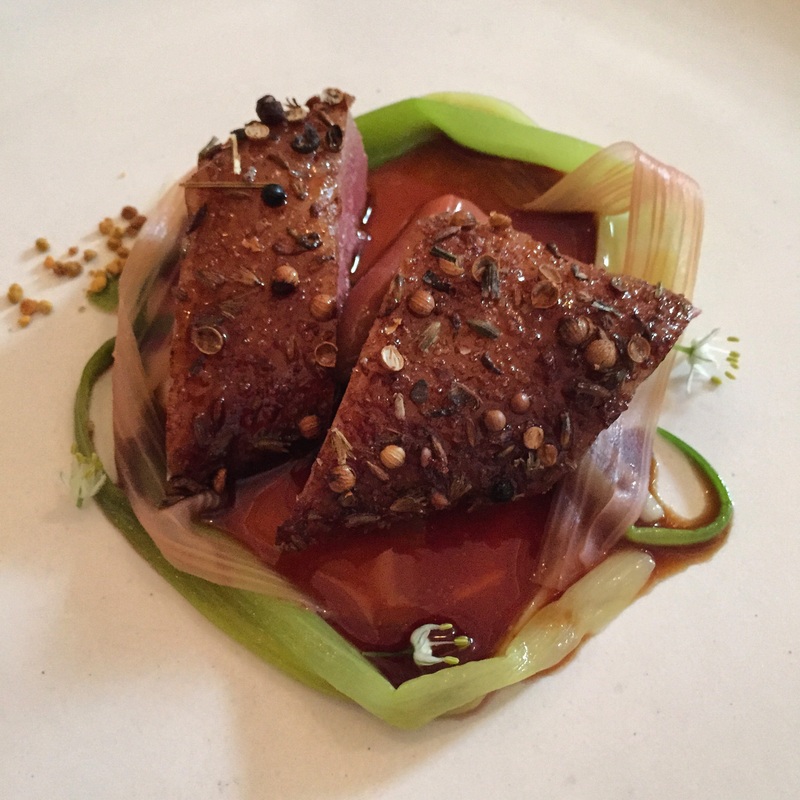 So notwithstanding that I ate it over 10 years ago, I still remember the duck two ways served at Lucas Carton, the former chef of which, Alan Senderens, has gone the way of casual dining, more’s the pity. My death row dessert would be the apple tart I had at L’Arpège over 5 years ago, although the pistachio chocolate creation I had at Troisgros last year would give it a run for its money. 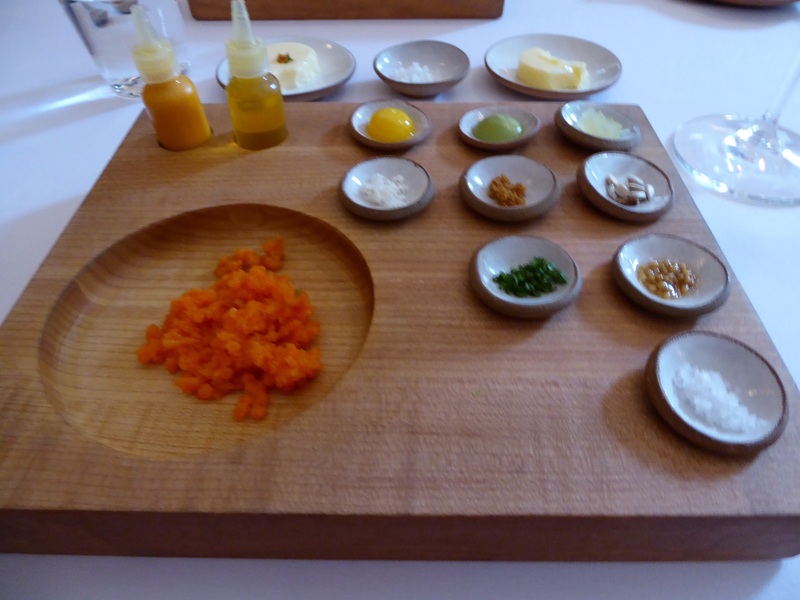 And at Eleven Madison Park I will remember the carrot tartare, put through a mincer at the table and served with nine accompaniments and no indication as to how to combine them. They could have made it easy but they didn’t and not everyone will want to have to think and some will wonder whether should be assembling their own food at all, but I like the balls of it, serving a bit of raw carrot (the finest, obviously) and giving you the opportunity for a bit of DIY in a Michelin 3*, an environment normally controlled to the point of obsession. 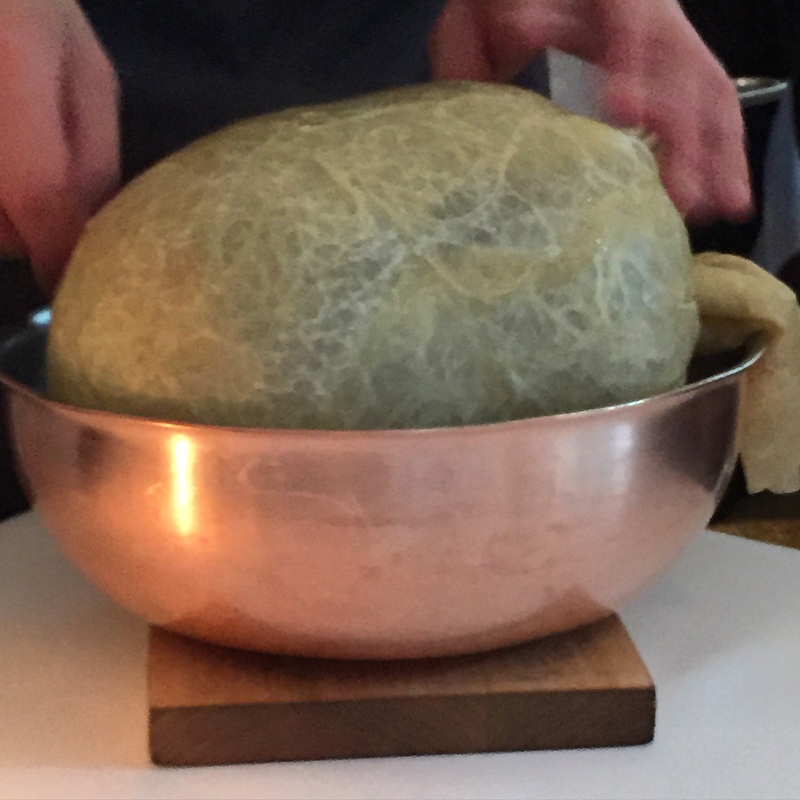 The theatrical continues with a slightly bizarre inflated pig’s bladder paraded to the table, blown up to the size of a rugby ball, operating like a medieval sous-vide. 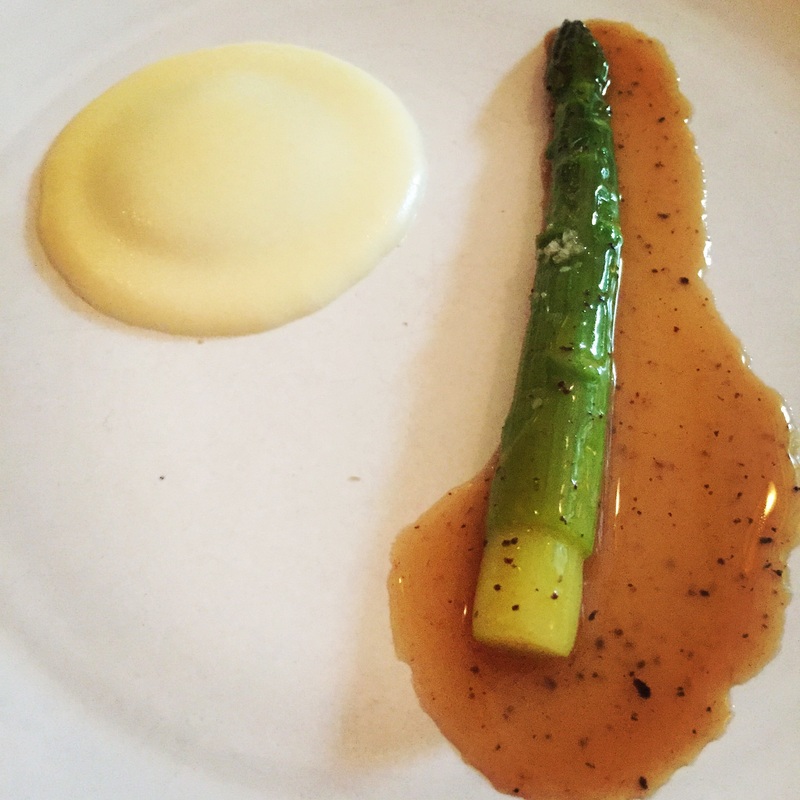 It contains a single fat asparagus, served with an intensely truffle-y jus, with a disc of softest mash and yet more truffle beneath. Also memorable will be the dish of barely-cooked peas, in a slick of sharp clear whey, with a citrus note, and then the spectacular bread, brought to the table at course four, when you’d given up hope. 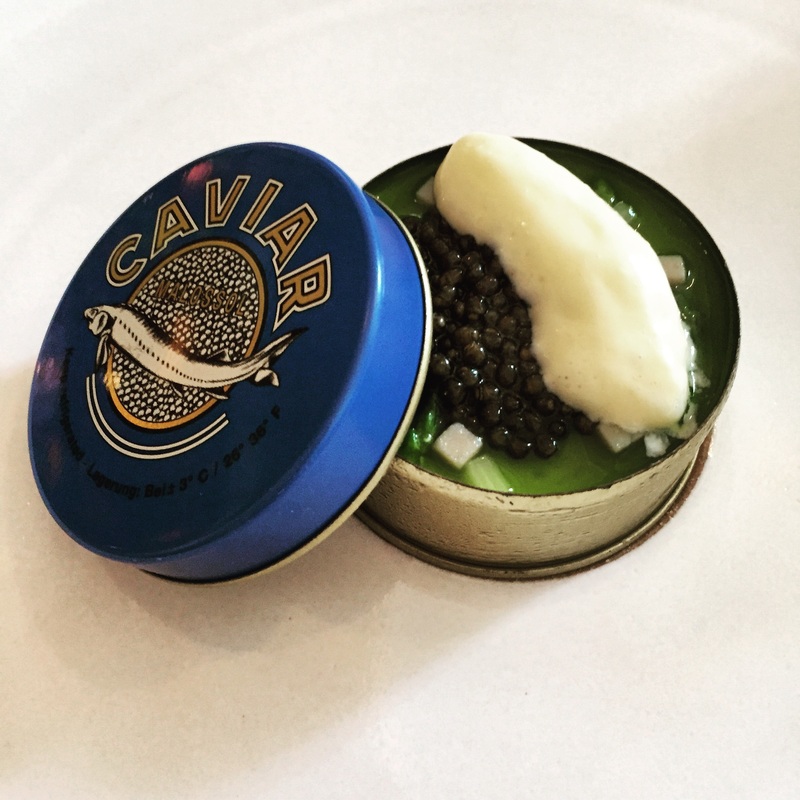 There is, as you would expect given the cost, the usual roll call of luxury ingredients, so yes, there is lobster and caviar and foie gras. But there is also a simple soft cheese, again in do-it-yourself mode, with three sweet and three savoury accompaniments, so that you can decide yourself which way to go. I want both, naturally. 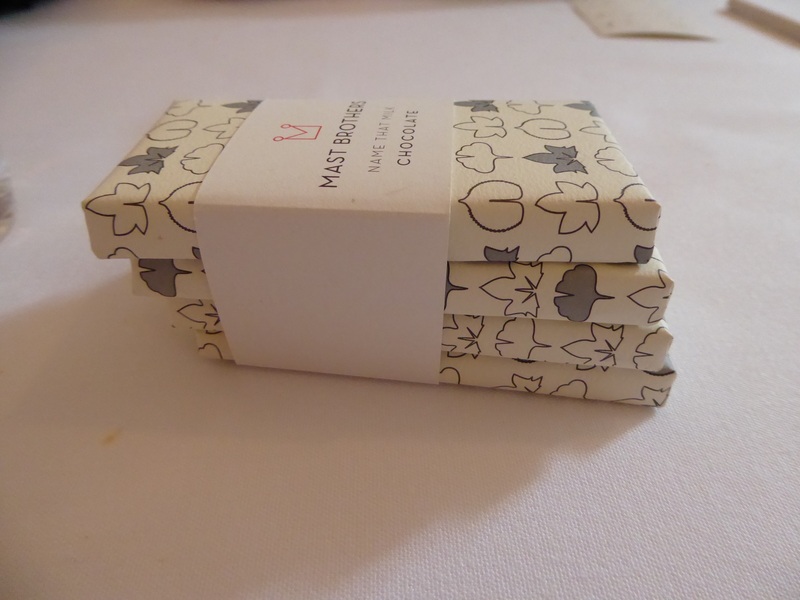 Because part of me is still a small child, I am very happy to be given four bars of chocolate, made for the restaurant by Mast, a local chocolatier, together with a piece of paper on one side of which is drawn four symbols, matching a symbol on each bar and on the other simple line drawings of a cow, a buffalo a sheep and a goat. We have to guess which milk is used in which bar. I love this game, especially as it comes at the end of the second bottle of wine. 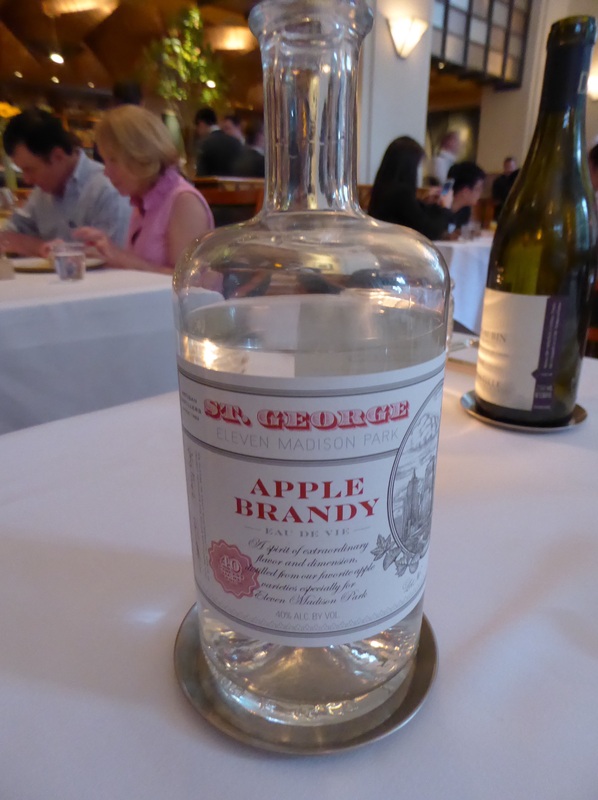 It is at this point that they pour the home-made apple brandy and leave it on the table for you to help yourself. At 40° Alc by volume, this is rather brave and rather lovely. A final touch is the offering of two jars of home-made granola. Needless to say it is the best granola I have ever tasted. 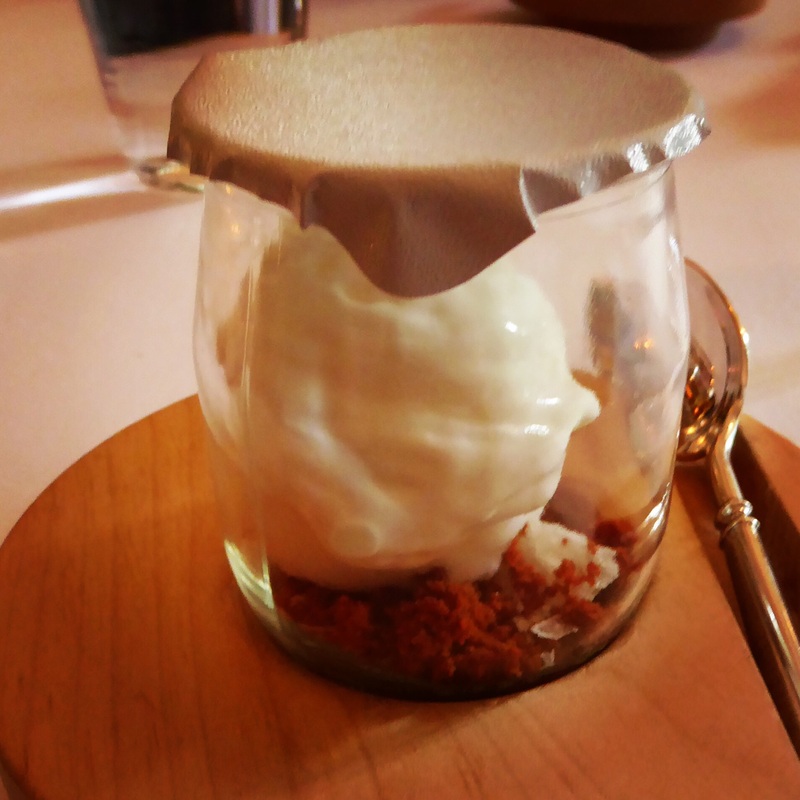 The Verdict: Reports of the death of fine dining are much exaggerated, but maybe we have to redefine the term. There’s both good and bad in fine dining, the rip-off emporia designed to appeal to those who want to show off and then there’s places like this, with the chef at the top of his game, turning out precise, beautifully executed and tasty plates in a wow this is grand setting. You wouldn’t want to do it every day but if there is an occasion when you want to be made a fuss of but in a low-key way, challenged but just enough and served food which makes you think, you couldn’t do much better than this. The room. Lots of room. hmm. i went there towards the end of 2014 and i can’t remember a single dish. though i can remember the gimmicks – we had a “picnic basket” at one point and “surprise” bottles of fizzy drinks. from memory all the dishes were perfect creations, but not especially challenging or exciting. looking back, the whole evening felt more like style over substance. possibly the least advisable £1000 i’ve spent on a dinner. and i’m not against fine dining at all. i love a well starched table cloth. for the price though, i think i’d rather go to pied a terre or hedone (for example) 10 times than 11MP once. I’m pleased to spay I spent nothing like that. I went for cheap booze though.